Getting hitched? Congratulations! Now, you’re probably looking for wedding cakes. 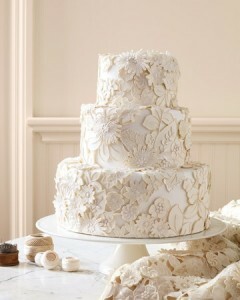 Traditionally, the wedding cakes were prepared to bring good fortune or luck to the wedding guests and to the newlywed. Since there are so many cakes to choose from, it’s always best to know more about some basics. Traditional wedding cakes are usually white colored including its decorations and icing varieties. White cake is also the most customary wedding cake flavor although lately, there are more varieties to choose from the traditional wedding cakes. Traditional wedding cakes are never out of style since they look classy and elegant, just right for wedding couples who want the conservative approach. Modern wedding cakes look more adventurous than the traditional wedding cakes. The colors and flavors are more daring and alive. Although the flavors are almost the same with the traditional wedding cakes, most of them have some modern twists on it such as alternating the wedding cake flavor for each tier or draping the cake with chocolate instead of sugar icing. Modern wedding cakes are good for contemporary couples. Theme-based wedding cakes are cakes that go with a theme-based wedding. There are some couple who wanted a fairytale wedding, so the wedding cake is designed as a castle. 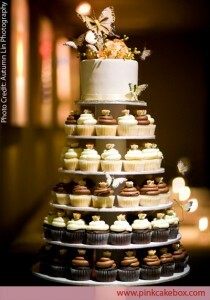 Some couples have butterfly wedding cakes or movie-inspired. These wedding cakes are good for couples who like to be different and are particular with theme consistency. Wedding cake toppers also vary. Aside from flowers, or small figures representing the bride and groom, you can have a hat or even animals. 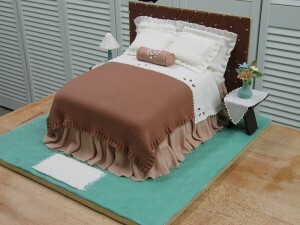 After choosing the design, don’t forget to taste the cake! It’s also always good to consult your wedding planner or get a professional and trusted wedding pastry chef.